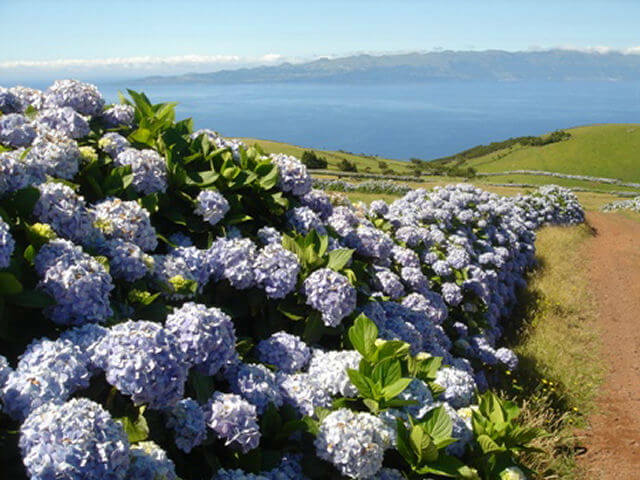 You walk along and over the volcanic peaks of Sao Jorge to a height of 1050 meter. 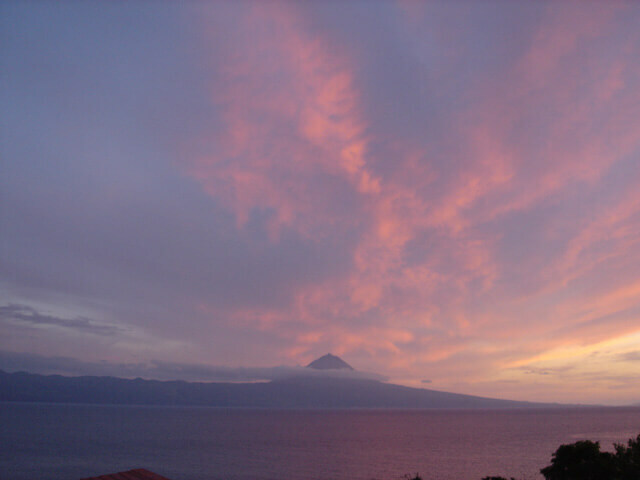 If weather conditions are good, you have a beautiful view on Pico, Faial, Graciosa, and Terceira. 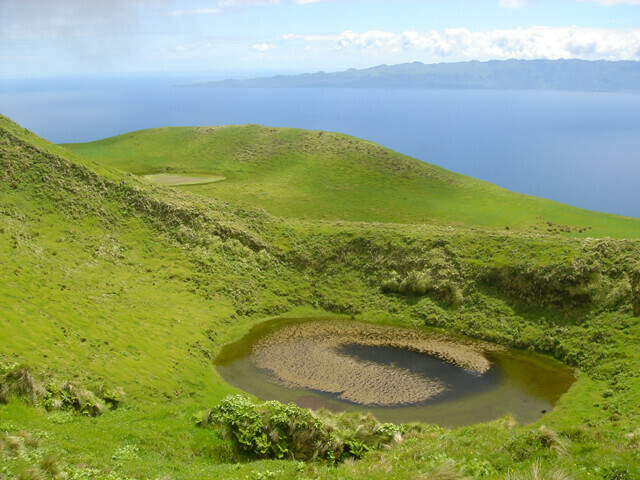 Especially the view over the many craters of São Jorge is spectacular, as well over Manadas, Santo Antonio, and Norte Grande. The trip takes about 3 hours and has little elevation. 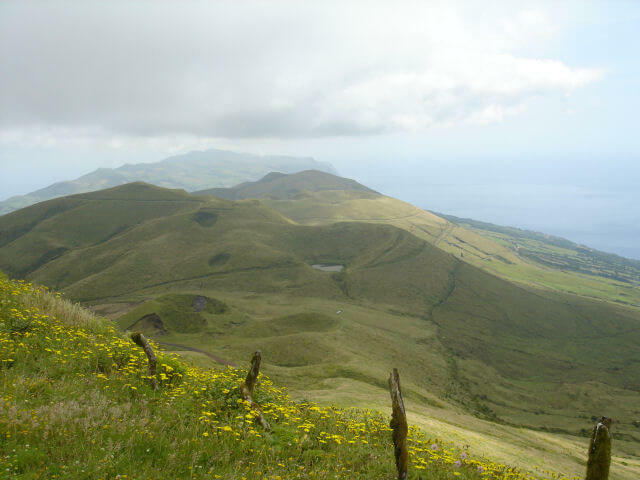 This is one of the most famous walking trails on the Azores. 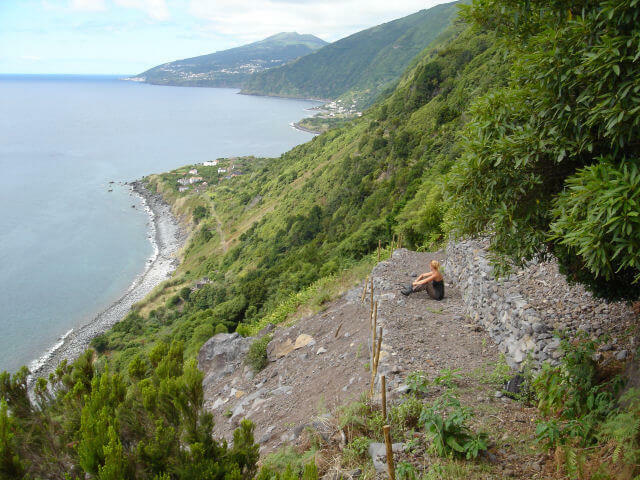 You start at 700m and the path drops down through a beautiful valley to Fajã do Santo Cristo. Here you can find a restaurant. 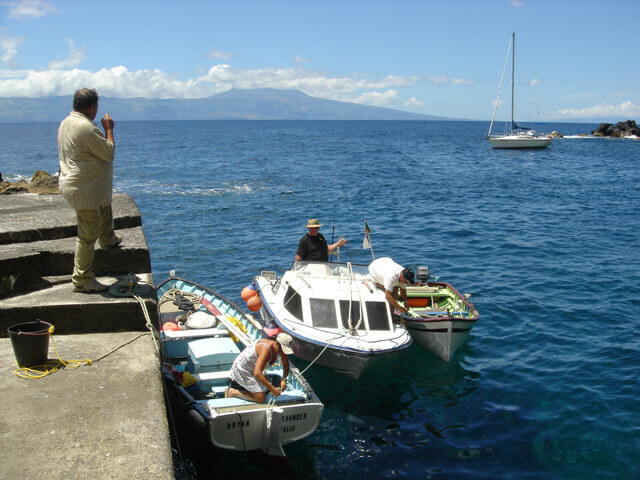 During the day it is possible to swim in a river or in sea. 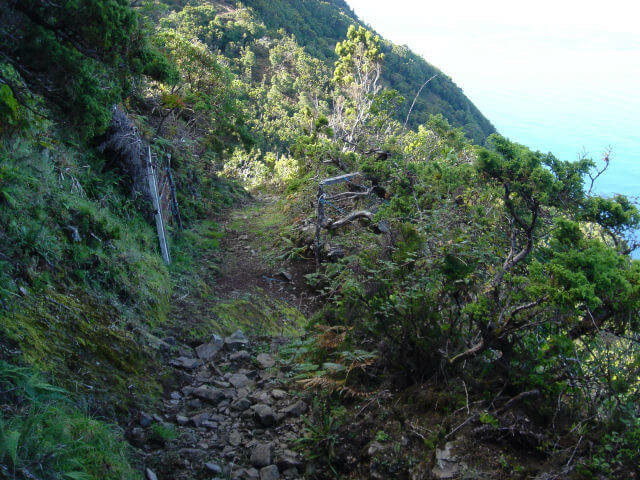 Then the path continues to Fajã dos Cubres over a quad track. In August, the number of quads is rather annoying for hikers. But in despite of that also in August this is an unforgettable hike. The trip takes about 4 hours and is (with proper shoes) easy to fulfil. 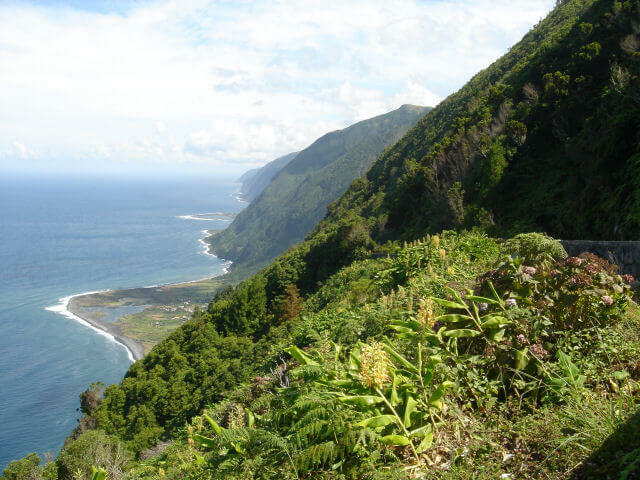 In August you will meet some other hikers, and there is a lot of youth in Fajã do Santo Cristo to surf. 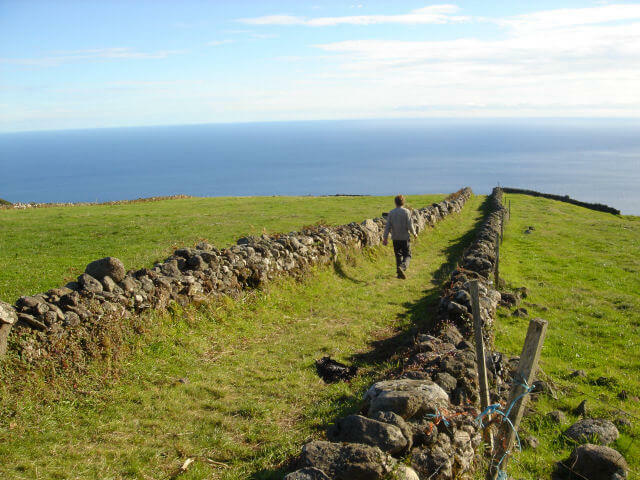 Good marked paths through forests, with beautiful views over sea. 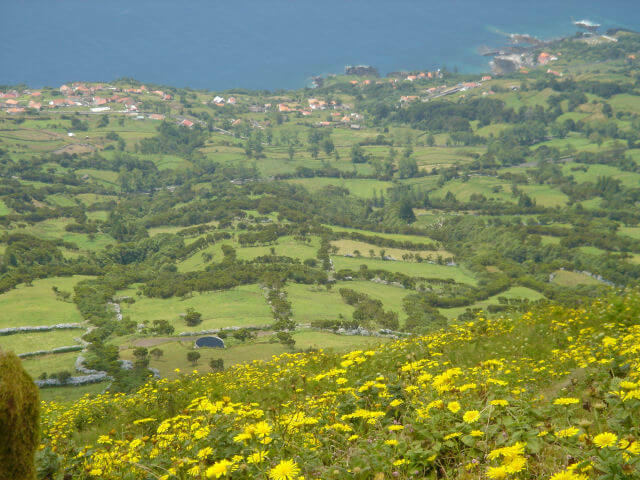 You walk along the steep coast from Fajã dos Vimes 400m up to the village Lourais, along a well maintained and well marked trail. You pass some waterfalls. 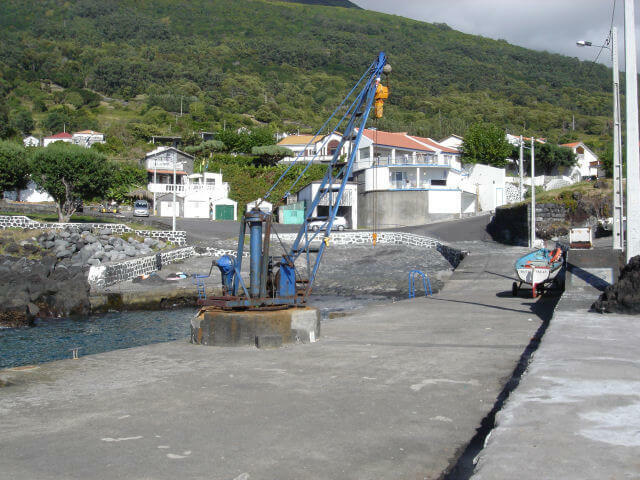 From Lourais you descend down to the Fajã do São João. 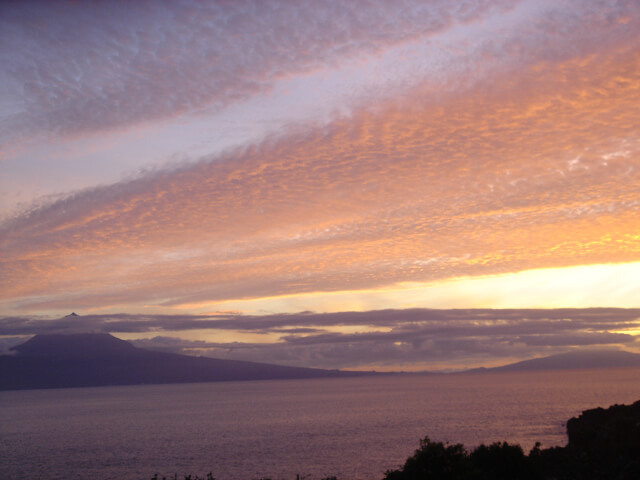 It is a very beautiful walk. 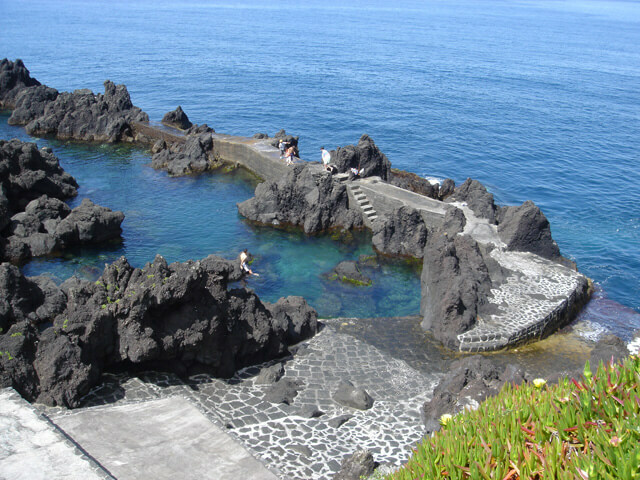 In Fajã do São João you can swim and there is a little cafe with a terrace. The trip takes about 3 hours. Walking shoes and long pants are useful. You can organize a taxi for your return. 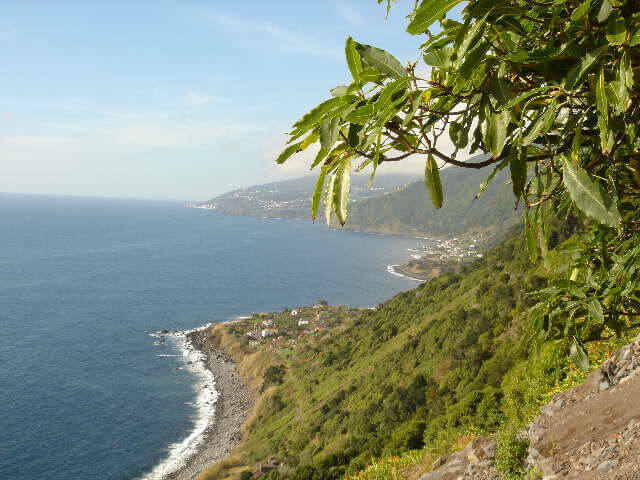 The hike starts at the village of Santo Antonio on the north side of the island. 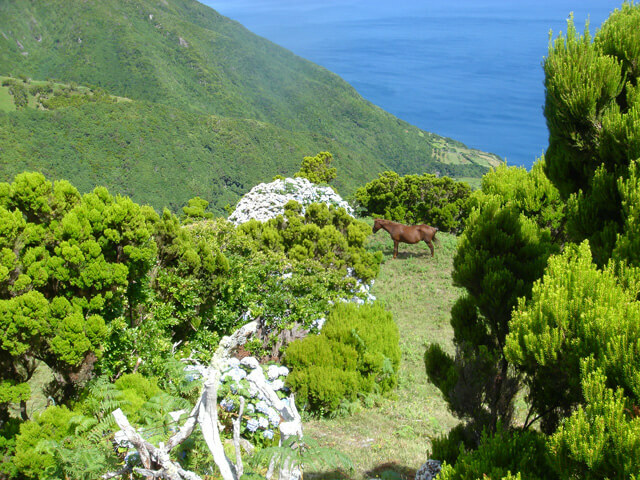 You descend (450m) the cliffs on a steep forest path down to Fajã d’Alem, overlooking the island of Graciosa. 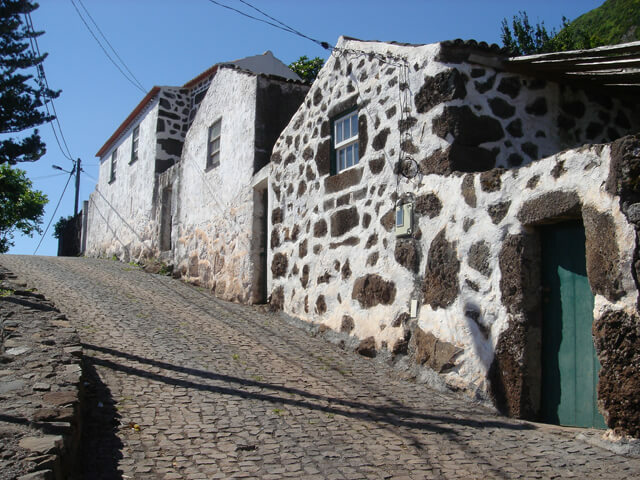 On your return you climb up to Santo Antonio using a different path. 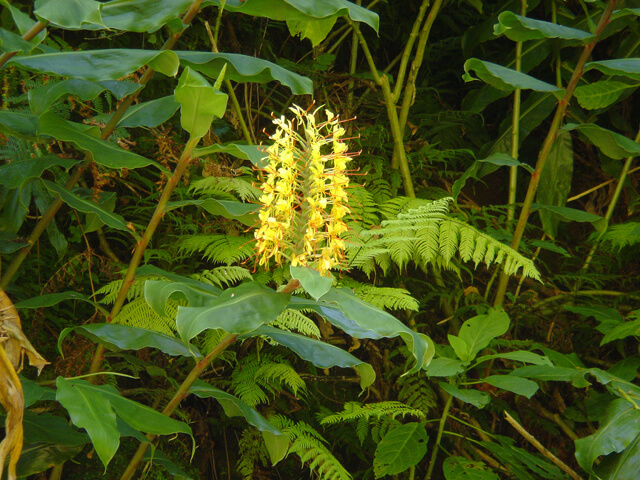 You see beautiful forests, many rare plants and mosses. The trip takes about 3 hours on a reasonably good path. Hiking shoes and long pants are required. From the park Setes Fontes (with beautiful tree ferns) a straight dirt road goes to the ultimo west of the island, Punta Rosais. This is a straight road of 5 km and a little boring to walk. But after about 2.5 kilometers, there is a road to the left. Here you can park your car. 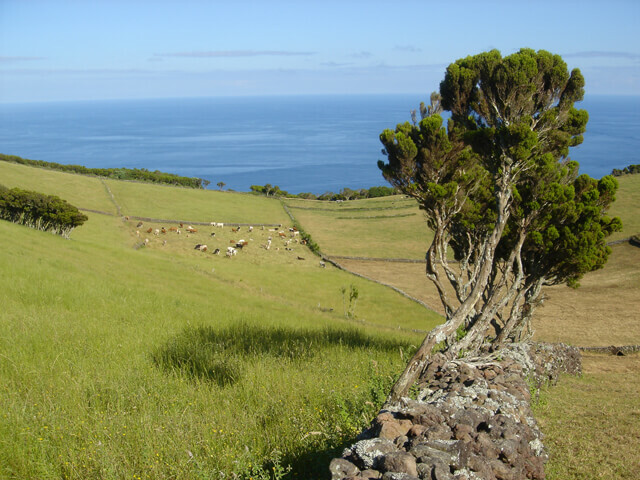 The road goes along cliffs over 400 m high with a spectacular view on Pico, Faial and Graciosa. Then walk to the old abandoned lighthouse on the tip of the island, and back to the car. The trip takes about 2 hours. 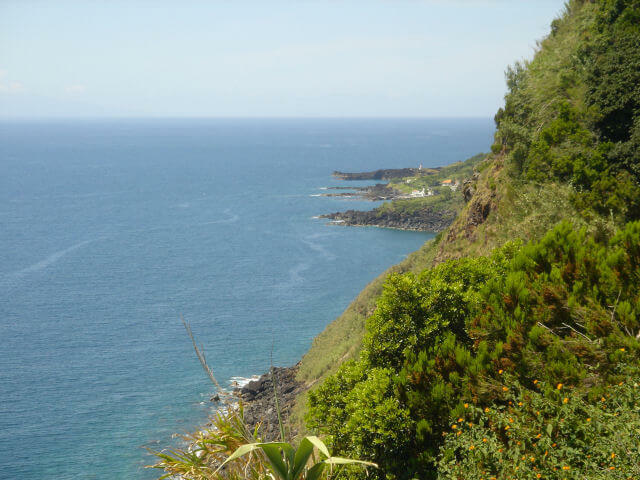 You walk 400m down the cliff along a steep path to Fajã do João Diaz. 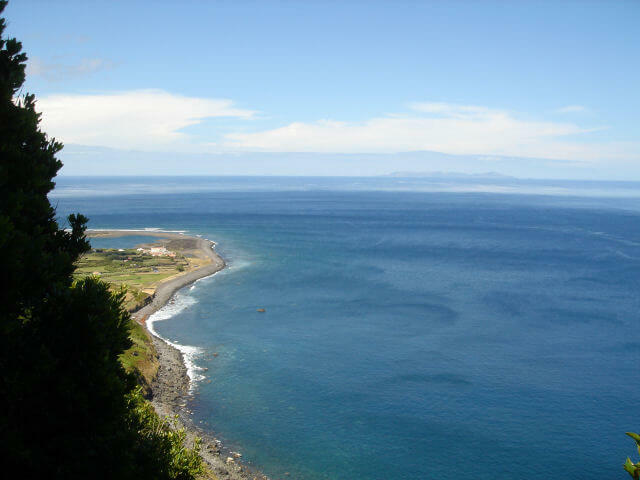 In calm seas, you can swim and snorkel here. You cannot buy anything there, but if you’re lucky you will be invited for a glass of wine. And another one, and so on. 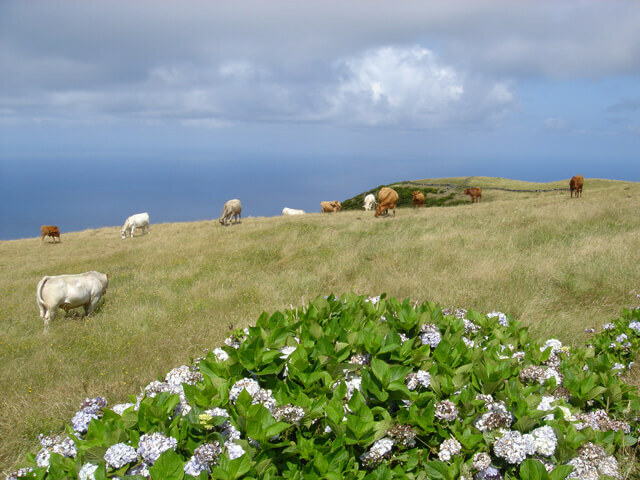 During this hike you have a beautiful view on Graciosa. The trip takes about 2 hours. 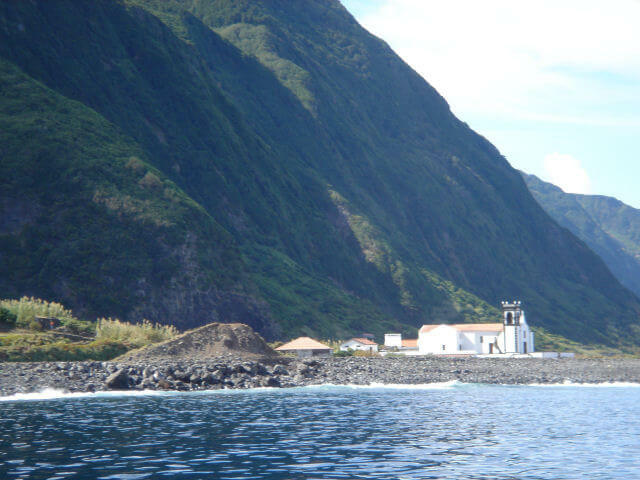 From the village of Santo Antão there are several paths along the coast, with beautiful waterfalls and a beautiful view on Pico. 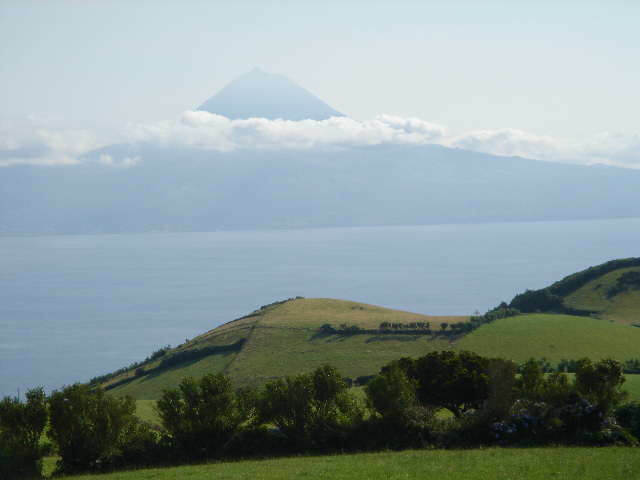 This hike offers exceptional landscapes and gives a clear picture of rural life on the Azores. 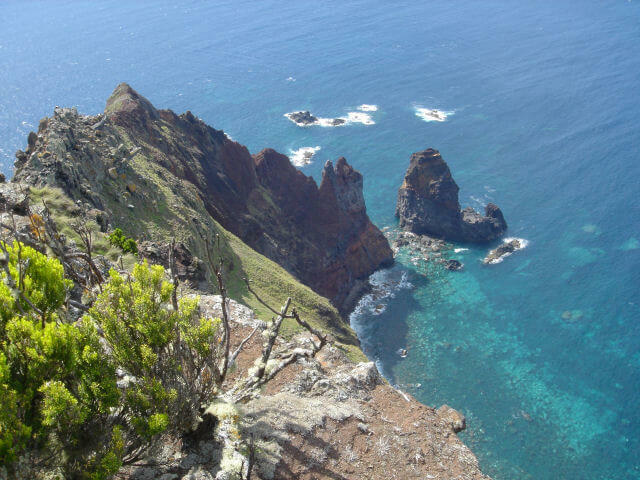 You walk about 250 meters down and up again. The trip takes about 2 hours. 8. Sources on Serra do Topo. 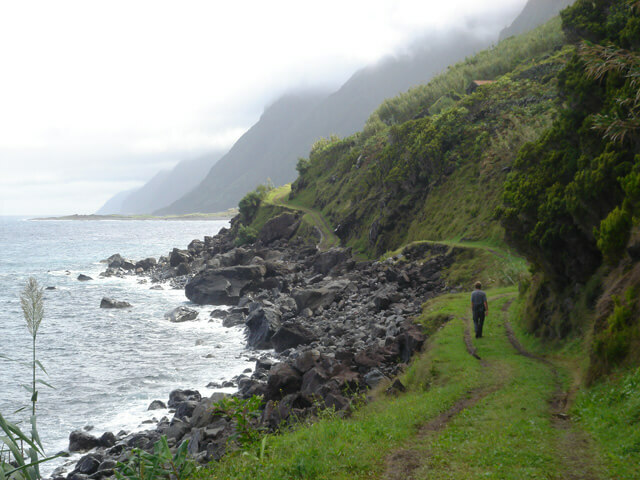 For this hike guidance is recommended. The beginning of the path is hard to find and after a few kilometres the path is almost not visible anymore. It is a very wet area with unusual birds, plants and mosses. Throughout you see sources of streams. Eventually you reach a cliff at 800 m altitude. 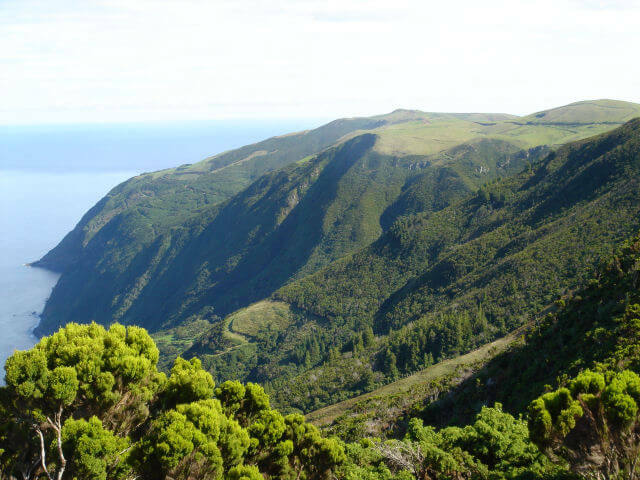 From there you look down over a densely forested valley to the sea. 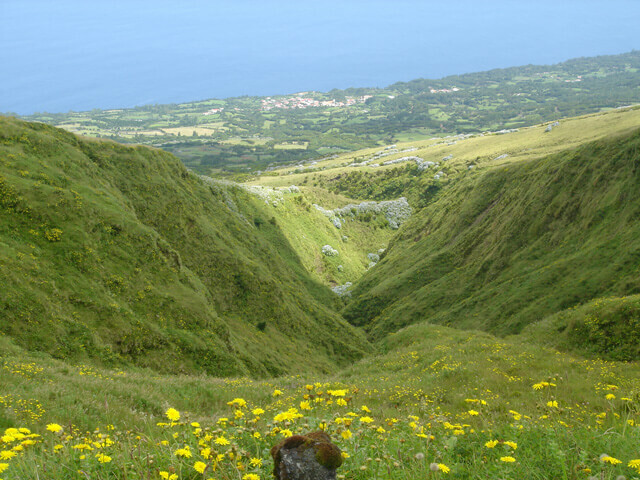 Down in the valley is the abandoned village Entre Ribeiras. This village has been abandoned after violent earthquakes in the past. There is a risk that you get lost in this area. The trip takes about 3 hours. 9. Abandoned villages at the noth – east. 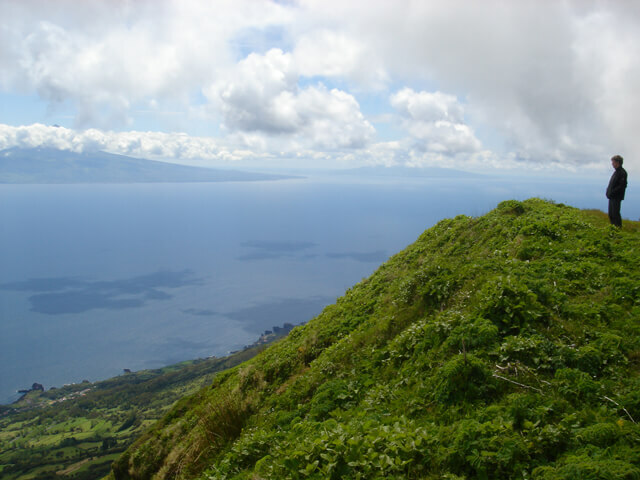 For this hike guidance is recommended. 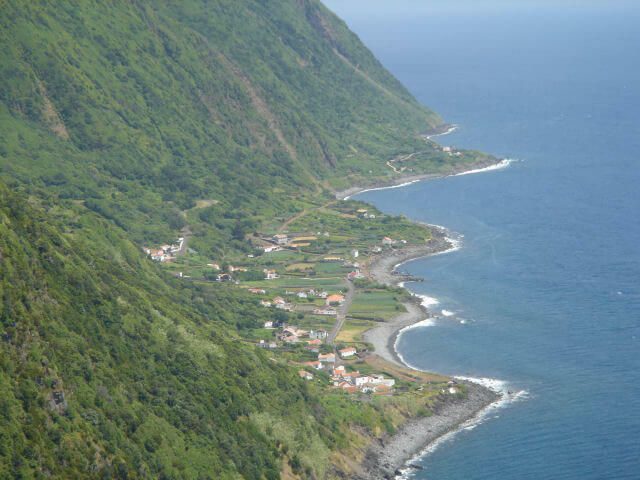 You walk to remote villages (Entre Ribeiras and Sanguinhal) along mountain slopes through heavily wooded valleys. It is a heavy, difficult hike. 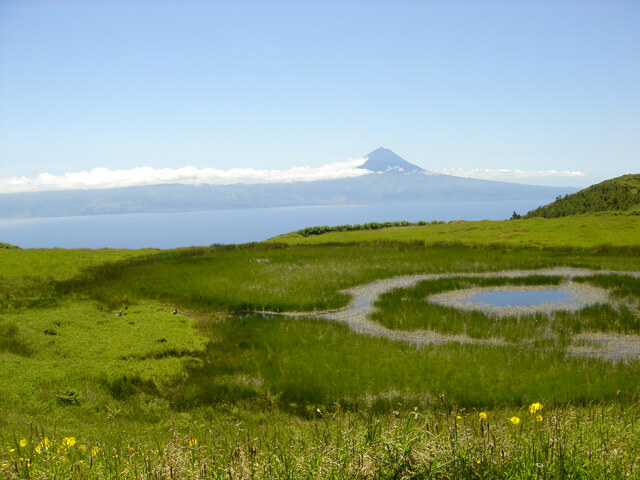 You see beautiful forests, many rare plants and mosses, many birds, and ancient ruins. 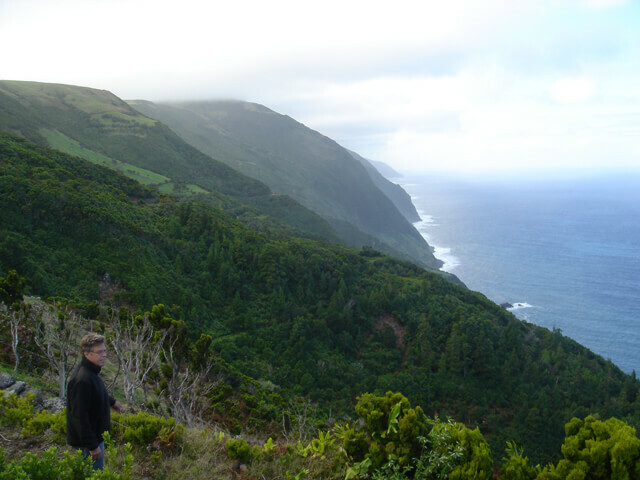 Excellent views on Terceira and Graciosa. There is a risk that you get lost. It is a trip for a full day. 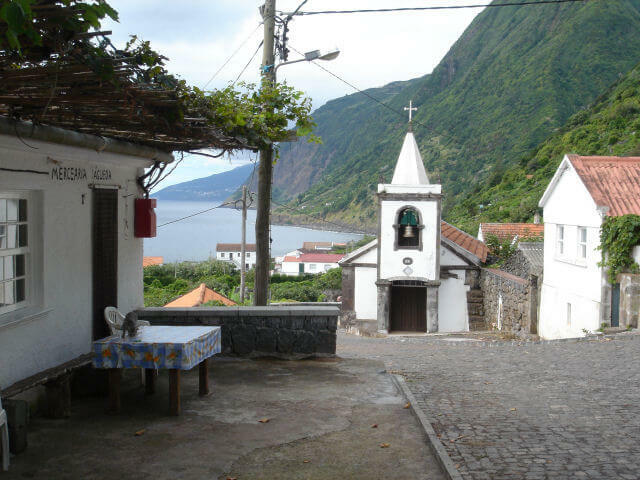 You walk from our house via the paved road to Santa Barbara, a church near the harbour of Porto Manadas. 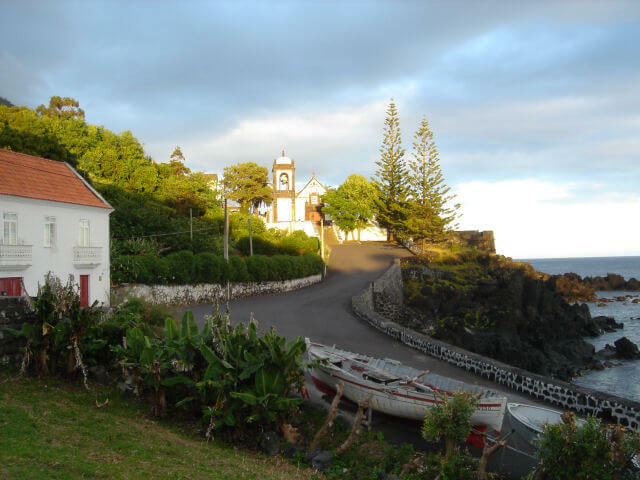 Santa Barbara has one of the most beautiful Azorean old churches. 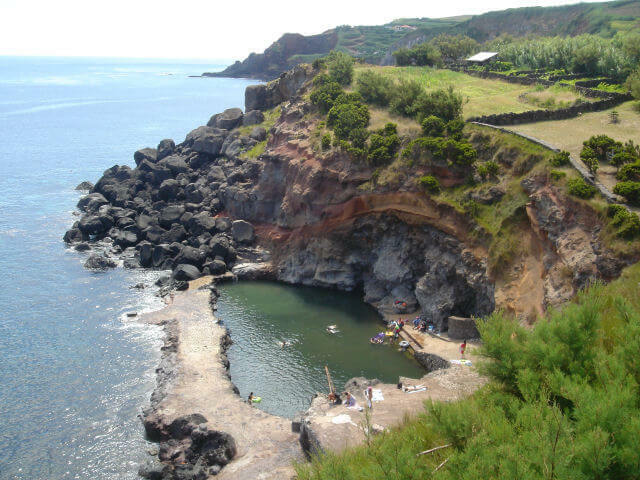 In Porto Manadas you can swim and snorkel. There is no shop or bar. From the harbour you can make a short walk along the coast to the west. There are beautiful lava shores. Then walk back to the house. The trip takes about 3 hours. 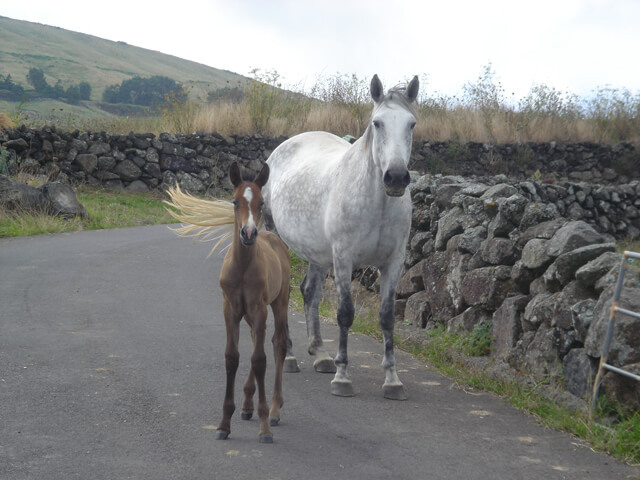 You walk from our house via the paved road to Manadas, about 300 m upwards. From here you have beautiful views on Pico. 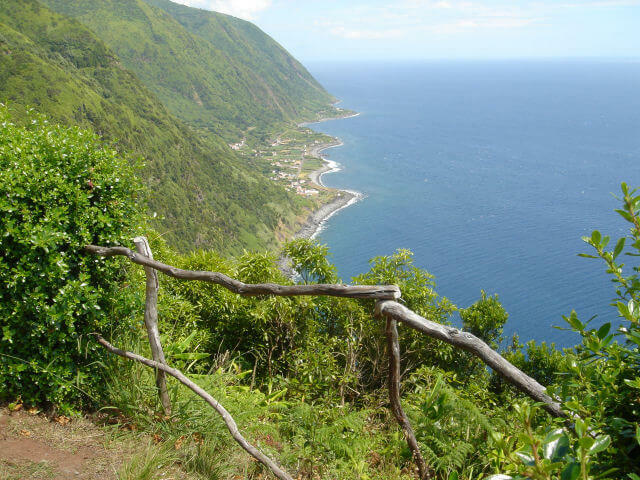 From here you descend through the wooded and steep paved road to Fajã das Almas. There you find a restaurant with a terrace. 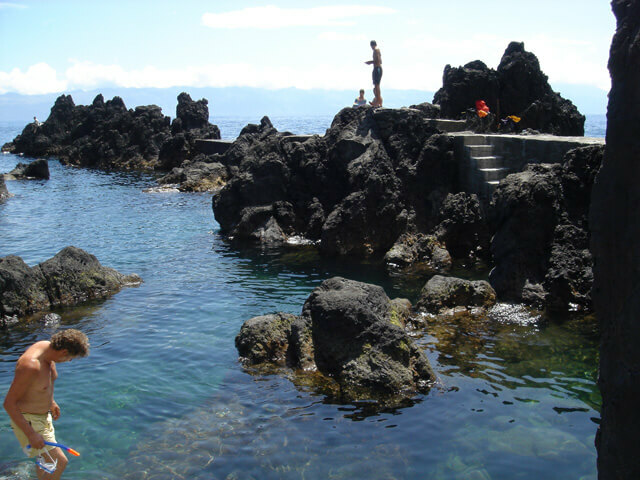 You can snorkel and swim here very well. Return back to our house using the same road. The trip takes about 3 hours. 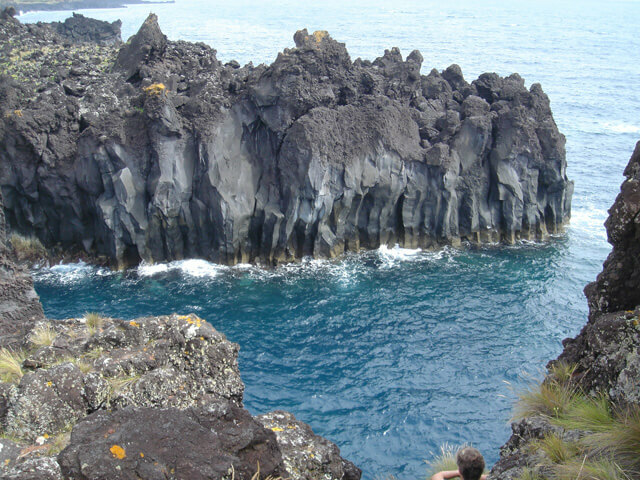 From our house you walk 130 m to Porto Terreiros, and then through the tarred coastal road along beautiful lava rocks to Urzelina. 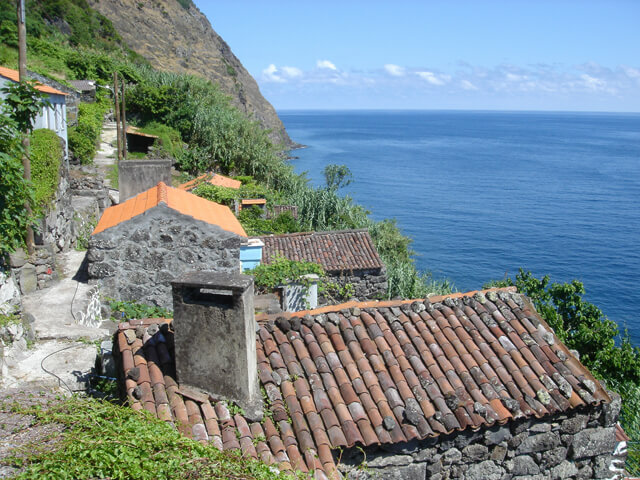 In Porto Terreiros there is a nice terrace, and in Urzelina there are a few more. 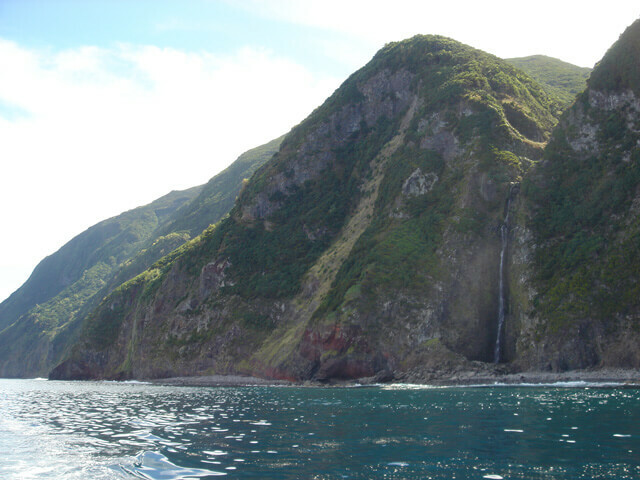 At night around 11:00 you can hear the cagarro’s (Cory’s Shearwater) communicate loudly as they come ashore. 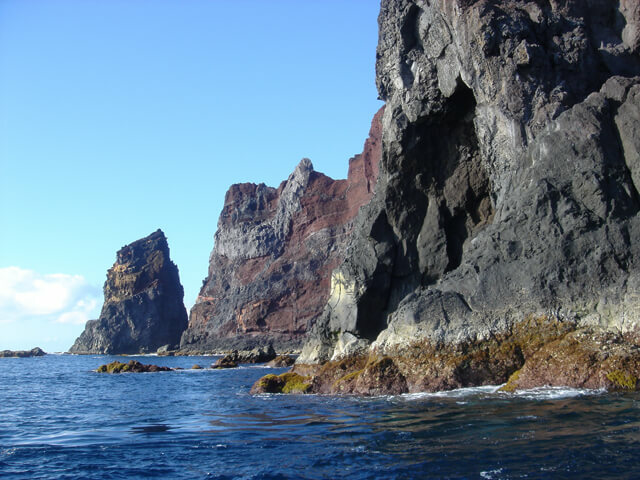 Between Terreiros and Urzelina there are some very good sites for snorkelling. 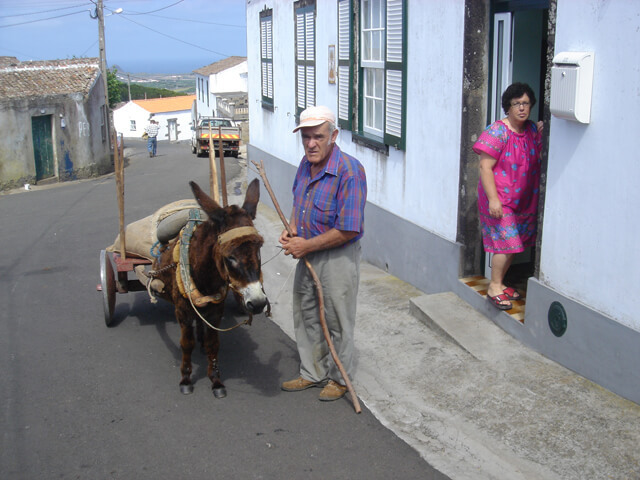 You walk in about 15 minutes from Terreiros to Urzelina. We recommend to rent a car. A rental car allows you to make wonderful trips. 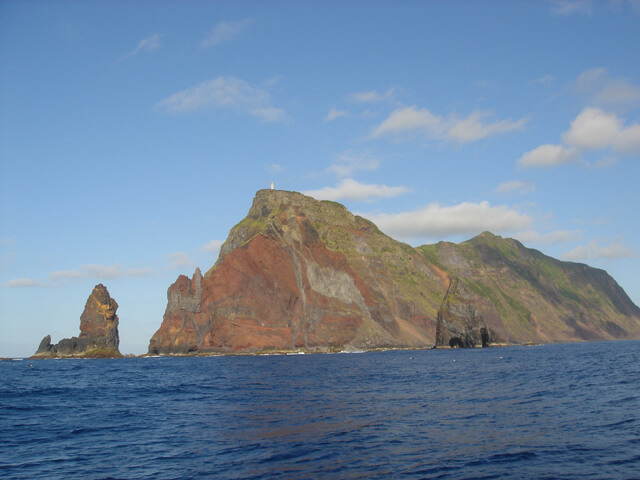 The island is large enough to make several day trips allowing you to experience very different landscapes. 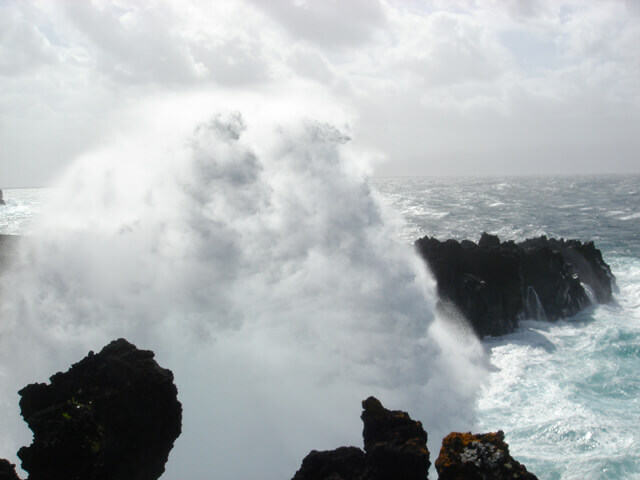 More than 30% of the island is higher than 700 meters and there are many high cliffs with excellent views. There are plenty of paved and dirt roads. 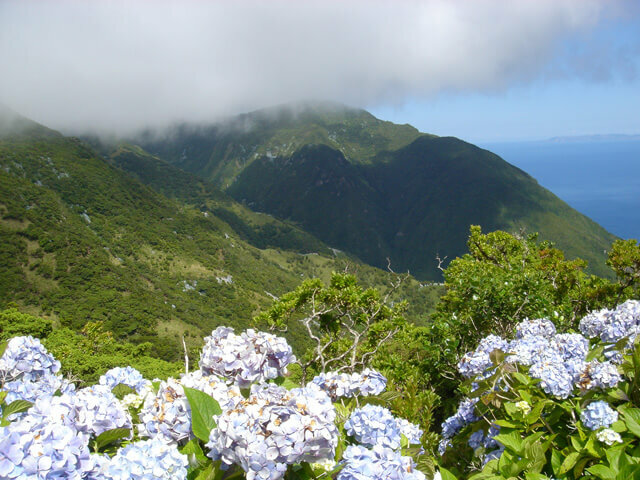 It is very convenient to have a car to reach the starting points of your hikes. 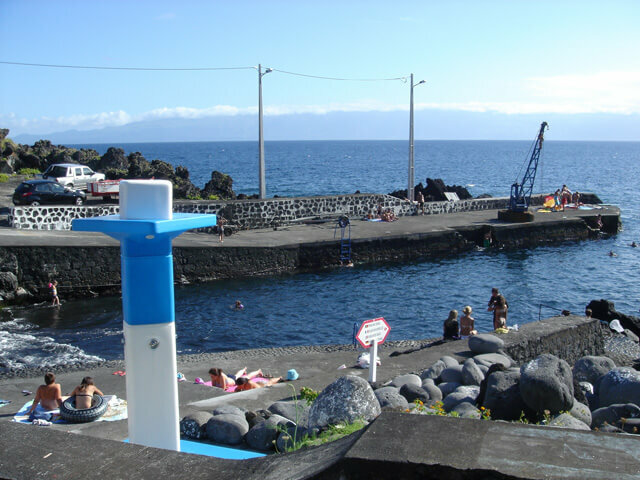 There are beautiful swimming spots in Porto Terreiros (130 meter from the house), “Portinho” (Urzelina), Porto Manadas, Velas, Fajã das Almas, Fajã Grande, Fajã do Santo Amaro, Porto da Calheta, Fajã d’Ouvidor, and Punta do Topo. Some have a terrace. If the sea is calm you can swim anywhere on the island. 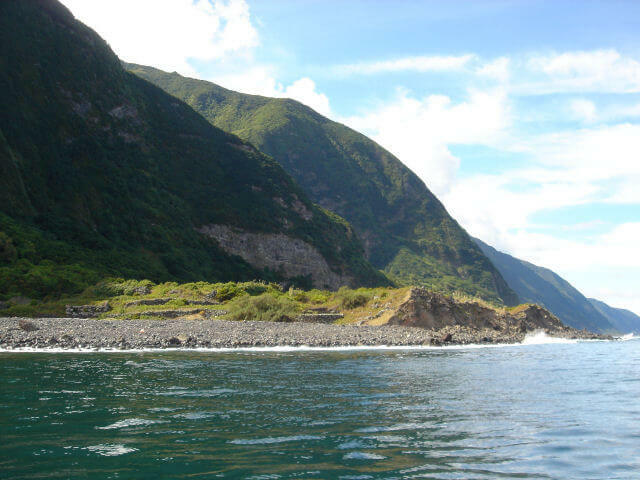 In Fajã Grande is a beautiful sheltered bay in the lava rock with a narrow entrance to the ocean. 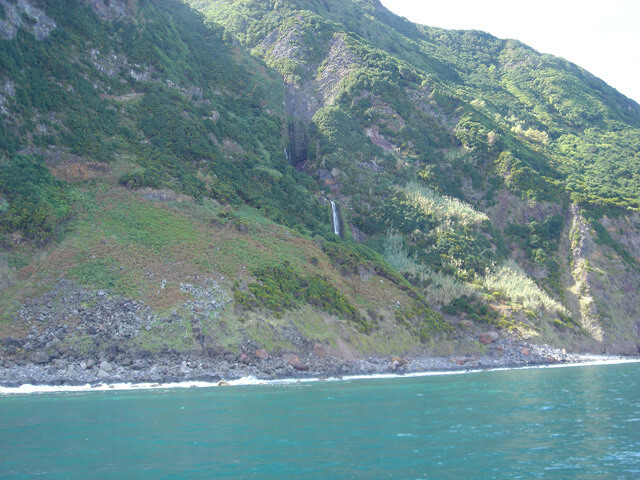 If there are high waves, this is still a good swimming spot. 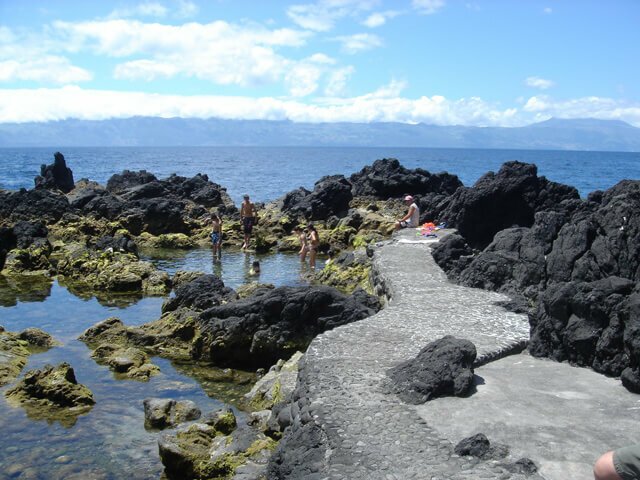 It is a great place for snorkelling (with a nice terrace for a beer and a snack). 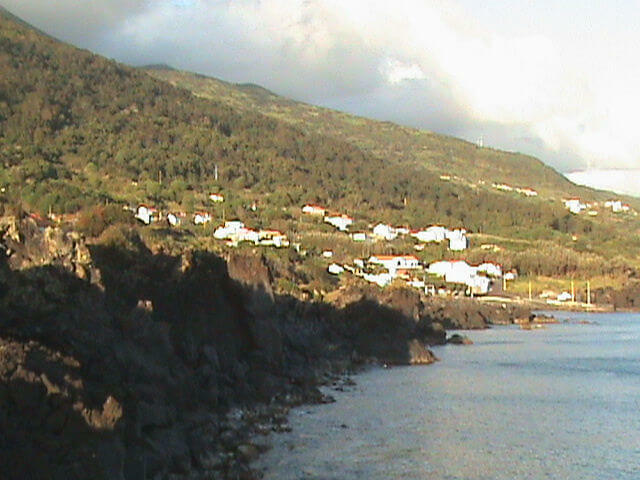 Also in Urzelina, Velas, Fajã das Almas, Punta do Topo and Fajã d’Ouvidor are natural sheltered bays.